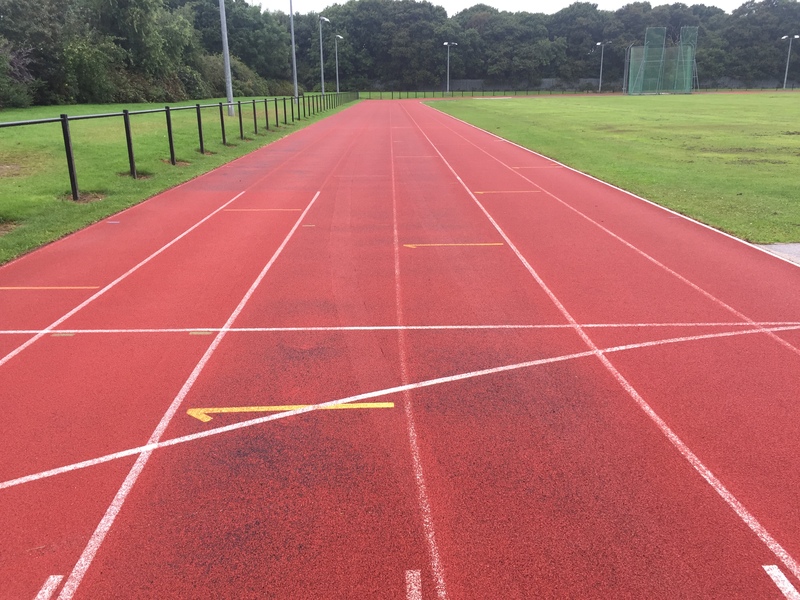 In September/October, White Line Services were busy at the Ellesmere Port athletic track carrying out track resurfacing to the whole track. The team began by washing the track to remove any unwanted dirt and grime and prepare the surface ready for the repairs and respraying. 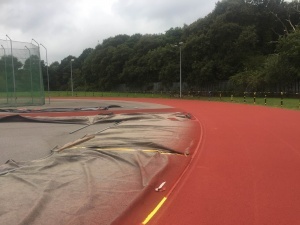 This image was taken after the track was cleaned, as you can see the track has started to wear down to the base mat below. 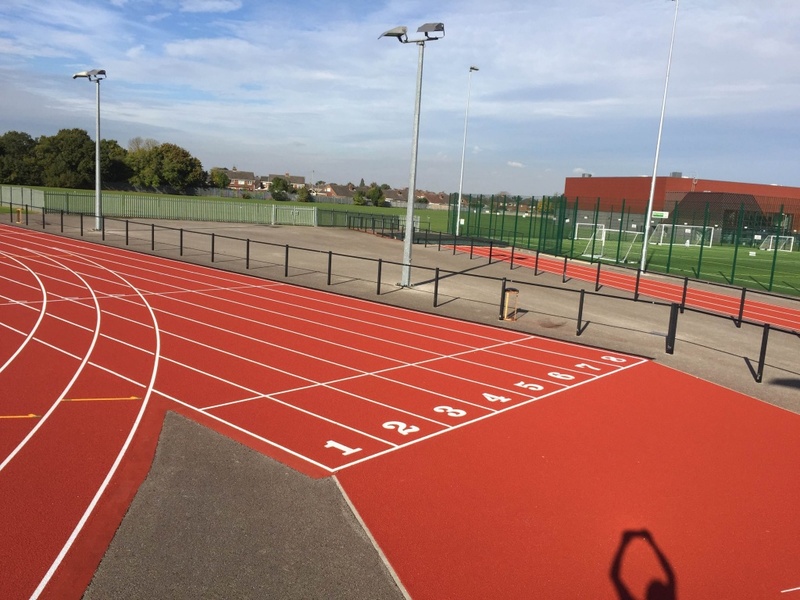 There were a number of repairs required to the surface including 200 linear metres of cracks and a large area of subsidence where the track surface was removed and the tarmac below repaired. Two coats of re-textured spray were then applied to the whole track by the team ready for the line marking to begin. Below shows an image during the respraying of the track. Following the application of re-textured spray, the new lines and events were surveyed and painted onto the track. With allowances for some rainy weather and curing time, the work took 4 weeks. 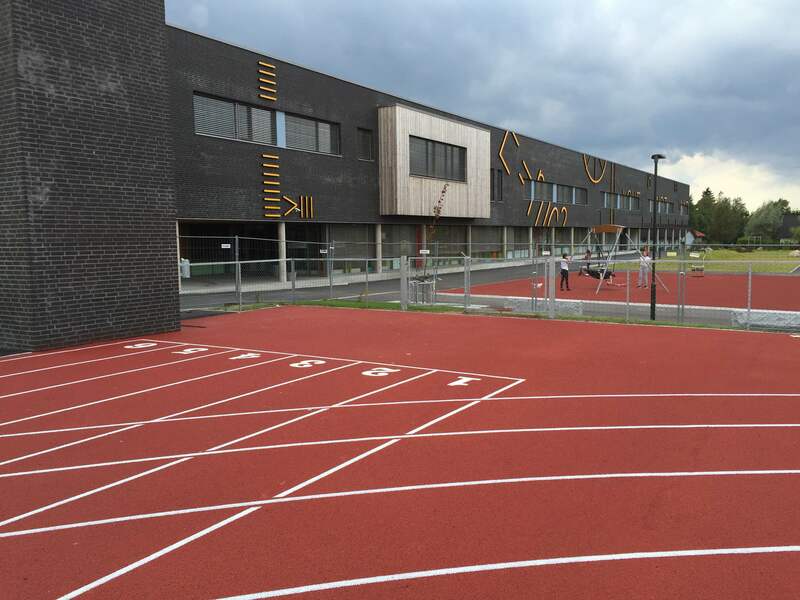 Please note, all of the materials used by White Line Services are IAAF certified. 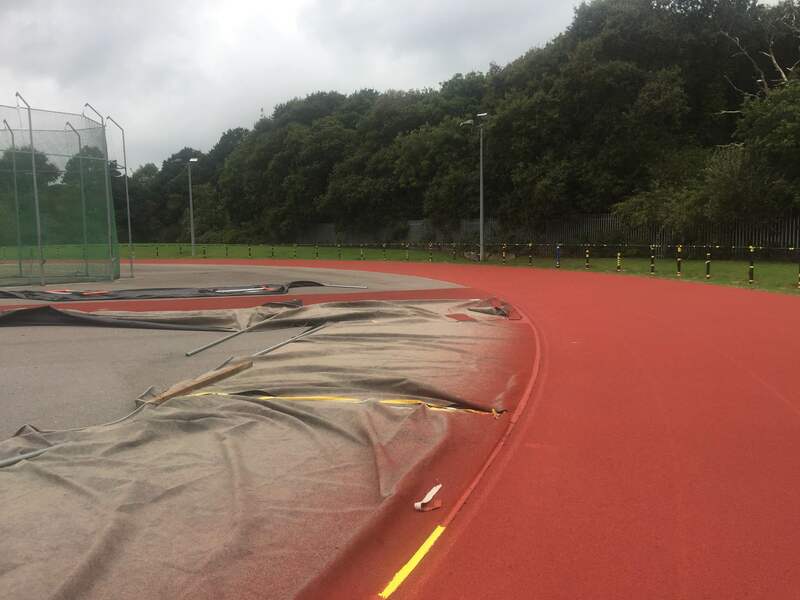 If you would like any more information about getting your track repaired and resurfaced, please call up the office on 01342 851172 for a bespoke quotation. This entry was posted in blog and tagged Athletic Track, Surface Maintenance, Surface Repairs, Track Maintenance on November 2, 2016 by Marc Adams.